can work directly from FSD3 from xbox 360 via FTp..or need copy the FSD folder to HD on pc? I have an error message each time I tried to open GaDaBaMa "Cannot found ..AppDataRoamingGaDaBaMaRSSfeedindex.html"
This file is not present in this folder, how I can force GaDaBaMa to generate it or how I can bypass this message ? - When I click on COVERFLOW I received the error msg "Err 13 - type not compatible" + "cannot found index.html"
I need to force GaDaBaMa to scan again my library to generate these files ? Other HTMLThere are a bunch of functions that generate HTML files:Coverflow, GameWall, RSSfeed, Avatar, DonationIf all of them fail, then my best guess is a security/antivirus option. @HansYou can use Samba. Make sure you enable that option under Settings>Sync>Allow Samba Enabled. Don't sync a USB connected HD/Stick over Samba (I used to run into problems)If you have a large library then it might be slow. In that case copy your F3 folder to your HD. @twinkyIt might be a reference problem like in this case hereExcept this time I haven't activated a wrong reference. Make sure all references are available. Do you have Windows Player? Another Issue for me ... When I tried to Sync GaDaBaMa DB with the FSD3 DB located on my local PC hard drive as in your video tutorial i received the error msg "You must disable samba on the fsd3 database you wish to use withgadabama" and under the line separator "Just install another F3 with samba enabled"
I am not connected to my xbox360, i am working off line,all the FSD3 folder is located on my PC ( i am working on a copy), why are you speaking about SAMBA use if i am not using it ? Perhaps you check the SAMBA flag into the db and stop the sync if the option is enabled ? OKay, I found perhaps the solution, I have enable the samba feature in your settings menu but I don't understand it,it's a fake feature to force gadabama to write directly to the db without IP connection correct ? Recommended setupIf possible, always connect your Xbox360 HDD to your PC. Otherwise, install F3 on a FAT32 formatted USB 3.0 stick (at least 16GB). Optional: Use the stick to boot your console. Use the stick to sync GaDaBaMa with F3. If you scan your Xbox 360 HDD for content(DLC)/game saves through GaDaBaMa, enable Samba in F3. Enable <<Allow Samba enabled>> in GaDaBaMa. Select your Samba drive under <<Select Content Folder>> in GaDaBaMa, Settings. DO NOT sync your USB stick over Samba!Setting up Samba in F3By default syncing over Samba is not enabled as it is slow and I experienced some problems syncing a USB stick over Samba. You can override this security feature by activating <<Allow Samba Enabled>> under Settings! Donâ€™t complain if you get crashes though!Under F3 Settings, enable Samba server. If you need to sync over Samba and you get crashes, install another F3 without any data and activate Samba there. Use that installation for syncing purposes (of course syncing the F3 database which contains your game data)If youâ€™re successful, youâ€™ll see clients connected: 1. If not, it does not make sense to continue this manual. Check Windows/Samba help sites. @twinkyIt might be a reference problem like in this case hereExcept this time I haven't activated a wrong reference. Make sure all references are available. Do you have Windows Player? For my problem of html generation is the issue is comming from the HTML function. If i click on COVERFLOW for example with AVAST antivirus disabled, i received a error message "Err: 13 - type incomptible" and in the title box we can see where the error is coming from "WriteImageFlowIndexHT..."
i think tat your index writer functions are using one common sub function which is failing "err 13"
perhaps your code has an issue with my ms access runtime version ? but I found new missing covers on some games where the covers was visible before ! All jpeg covers are present under GaDaBaMa but the ASSERT generation (i think) is not done correctly all the time. Is there a tool i can use to check the ASSERT files content ? To isolate the problem I would need to check your database. Something might be out of place as the err 13 means type mismatch. The .assets file creation has been tested with thousands of image files, that can't be the problem. Send me a pm with the link to your content.db and I'll take a look. I have sent the content.db link to your account. For the cover issue, visible or not visible under FSD, some time FSD3 show the cover correctly some time not ! difficult to know what is wrong ! @twinky: Actually it should check all references by it's own. The admin error is something unknown to me. The reasons might vary. Did you try with Access 2013? @xvassor: I'm downloading all images for all games now. Afterwards I'll create the assets files. I'll see if an error pops up. I'm using Win7 32bit, Access 2013. Apparently his Admin account had no password and that caused the error. Take a look. This guy had a similar problem LINKApparently his Admin account had no password and that caused the error. Take a look. okay, I will wait for your answer if you received the same error message or not. I'm now creating the .assets files for the whole collection. So far there is no error. I'll check it out with F3 once I'm done. If your database is ok (which seems to be the case) then something with your installation or your Windows might cause the problems. Have you tried another PC? Hi, Yes it is a big database. 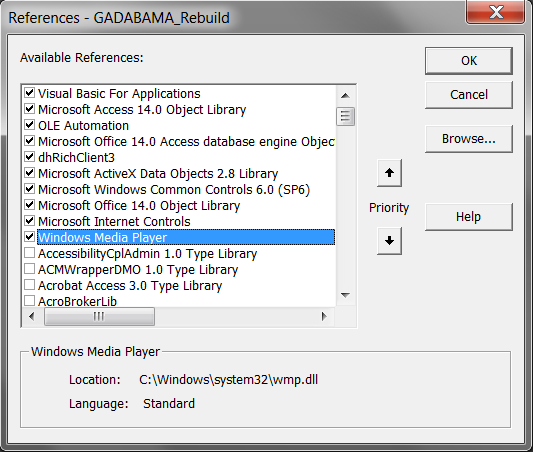 I just success to Install GaDaBaMa on my Win7 64bits, on my WinXP SP3 the GaDaBaMa didn't want to run with the MS Access RT 2010 installed version. So I cannot reproduce the html issue on others PC. 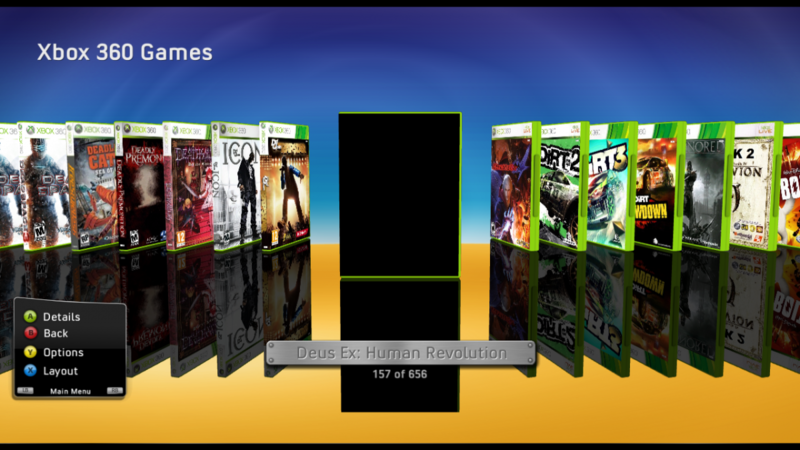 For the cover show issue on FSD3, I did many test with the ASSERTS file generated by you and by FSD3 itself and I have the same issue only on XB360 Games but never with XBLA Games. For the same Game , Some time the cover is present sometime not . We can observe that in the last part of the list (2/3). It's randomize in fact. I wrote a batch file in perl for cleaning the FSD3 db when FSD3 forgot to download the *.bin files or if the assets header file is corrupted (no downloaded cover too) to force FSD3 to re-download the missing information for the next scan. All the GameData folder seam to be good with GaDaBaMa but not all the time with FSD3 ! 16.1 GB .assets files created. Unfortunately I can't test them. I thought I could just update the Game dirs in the content.db to point all to the same dir. ContentItemPath must be unique. Creating another table identically to ContentItems without a unique ContentItemPath restriction works. But the database can't load it if the games share the same Path. So it must be something in the code that prevents it as well. The next logical step is to create fake dirs and update content.db. I'll try that and report once I was able to load your database with all the .assets files. By "Game dirs" you mean "ContentItemDirectory & ConytentItemPath" ? or you speak about the Assets file folder located in DataGameData<ContentItemId> ? By "to load your database with all the .assets files" you are talking about "COVERFLOW" button or just the importation ? That post was just for your information that I needed more time, as I had to create a dummy-table and folders to be able to load your database with all the .assets files. Anyway, I'm not sure if we are talking about the same here. But I found some games with missing covers. But this has nothing to do with GaDaBaMa. These covers are in jqe360's database but the image behind the cover-id is missing. This means that GaDaBaMa downloads an empty cover-id (which probably is set as default cover). JQE360 cover siteDefault cover is missingNow, the cover in GaDaBaMa as jpg can't be correct either. What could be correct though is the boxart if this was previously downloaded from xbox.com.If I recall correctly there is a check when downloading game covers for the current game. If the default cover (from jqe360.com) is missing - like the 2 covers mentioned above - it does not download any cover. Hence, the dds -> .assets file does not contain an empty image. But most probably this code to prevent this to happen was only implemented when downloading covers for the current game and not when using the <All Games> button.As long as the default cover in jqe360.com is missing, there is no way to automate the process of downloading the missing covers except with additional code. Which will not happen, as this was not the idea behind the default covers.Bottom line, if the issue you're reporting is about this, then the problem is not with GaDaBaMa. I am aware there is a content editor which can remove and change a game into another section. Is there a way to add a game entry into the database without using the console? For now, when I rip the game cd and put it into the external hdd, gadabama won't see it until it is booted from the console.